I do not have many healthy habits, though I try to eat regularly outside my triggers; sleep the same amount every night; and avoid activities and behaviors that will lead to pain in myself or others. However I don’t exercise enough, and I don’t drink enough water. My dad used to feel convinced that dehydration was responsible for some of my migraines; he was probably right. I pretty much have to force myself to drink water, and I try to remember: water is life. Water is life. Water is life. Have you got a smartphone? If so, why not try the Lift app. It helps you to keep track of habits that you want to form. 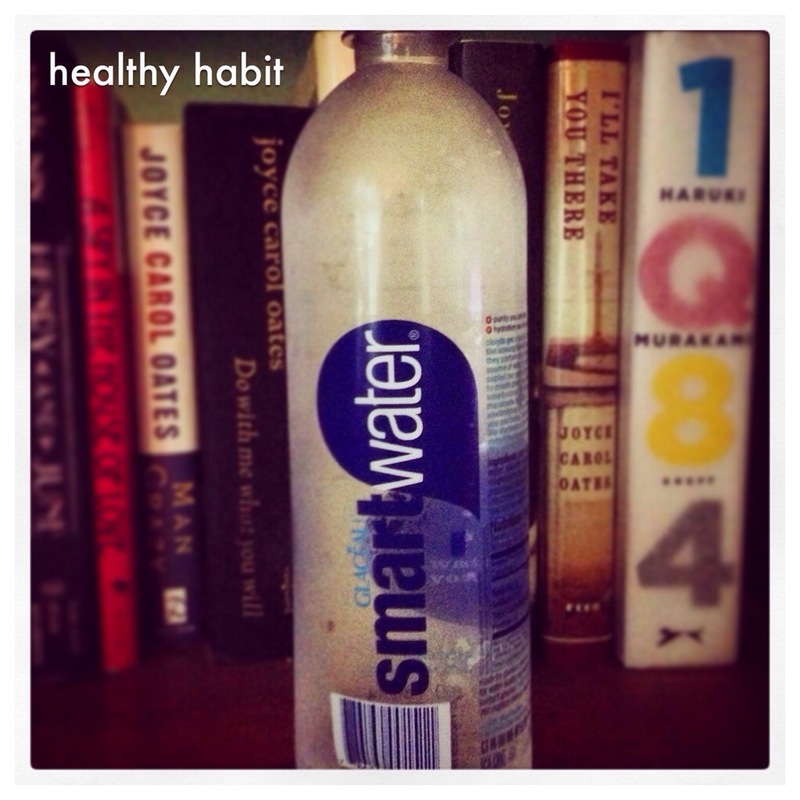 You just “check in” when you successfully do the thing you want to do: like drink a bottle of water. Anyway, I just decided to comment on your post because 1Q84 was on the shelf behind your bottle. I read that book and loved it, Murakami is one of my favourite authors. Thank you! I included my bookshelf to make the photo more interesting and reflective of my personality. I LOVE to read and Murakami is also one of my favorite authors. And thanks for the app suggestion, I’ll check it out! Hope you don’t mind a suggestion. We (migraineurs), get them all the time and they can be annoying. So if this one is please forgive me. The one thing that I do get right is drinking water. What I do is buy a 1.5 litre bottle of water and aim to drink two of those a day. I carry it everywhere I go and just keep drinking. When I finish it, I refill and keep drinking. Cool :). Good to know. I feel the same. I promise to keep them to a minimum.